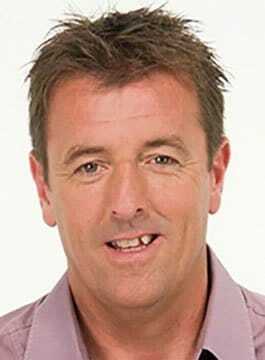 Matt Le Tissier is a Southampton Football Legend and Sky Sports Pundit. Le Tissier was born on 14th October, 1968 in St. Peter Port, Guernsey. He played youth football on the island and was clearly a class above his team. After a failed trial at Oxford United he signed to Southampton in May 1985. He played his first professional game on 2nd September 1986. From 1986 to retirement in 2002 Matt Le Tissier spent his entire career at Southampton, playing in 431 league games, 50 league cup games and 32 FA Cup games. In total he scored 208 goals for his club including 49 out of 50 penalties. He was a regular scorer of brilliant goals and was a firm favourite with the Southampton fans. His goals were often unexpected and for this ability he was nicknamed “Le God” among the supporters. Le Tissier played 8 times for England from 1994 to 1998 gaining 8 caps. He is arguably the greatest and most loyal (and popular) player in Southampton’s history. Matt Le Tissier was never ordinary, living up to the literal meaning of his surname – The Weaver – as he wove magical spells with the ball during the 1990’s, being regularly cited by many, as arguably the most talented and gifted English player of his time. Since 2005, Matt has been regulary seen every Saturday as part of the team at Sky Soccer Saturday with Jeff Stelling, Phil Thompson, Paul Merson and Charlie Nicholas.